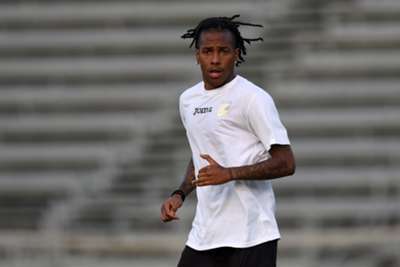 Steve Bruce has revealed that Palermo striker Abel Hernandez has agreed personal terms with Hull City and passed a medical. Bruce turned his attention to Uruguay international Hernandez after Blackburn Rovers rebuffed the Premier League side’s offers for Jordan Rhodes. The Hull manager revealed after his side’s UEFA Europa League exit at the hands of Lokeren on Thursday that Hernandez is on the verge of moving to the KC Stadium. He said: “Things are advancing quickly [with Hernandez] and we have to get bits and pieces done. We are trying hard. The medical is okay and the personal terms, we just have to iron out one or two issues. Hull have also been linked with Manchester United midfielder Tom Cleverley, who is also reportedly a target for Everton and Aston Villa, as well as West Ham’s Mohamed Diame. Bruce stated after watching his side lose to Belgian side Lokeren on away goals that his transfer plans would not be affected by their early European exit. “Always our focus is on the Premier League and you have to build a squad for that, whether we were going through in Europe or not,” he said.